This clinical graduate degree program for professionals is the first of its kind offered by a U.S. college or university and is designed with the working adult learner in mind. The program employs a scientist/practitioner model following the principles of applied behavior analysis and evidence based practice. 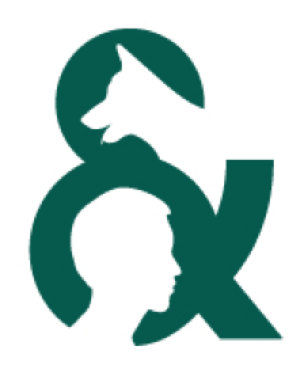 It is designed to provide a comprehensive understanding of the field of companion animal behavior and provides graduates with the necessary knowledge, task, and leadership skill sets to work as applied animal behaviorists servicing over 150 million companion animals and their caregivers in the U.S. alone. The curricula explores companion animal behavior including learned and heritable behavior, species-specific behavior, functional assessment and analysis of behavior problems, measurement of behavior using quantifiable methodologies, development of positive behavioral intervention plans, psychopharmacological intervention, caregiver counseling and ethical practice. NOTE: The program is licensed but not accredited. Beacon College’s new major and minor explores the extraordinary relationships and interactions that people have with animals, combining scientific study and exploration with theoretical applications in the areas of animal welfare, animal behavior and conservation. Our unique approach includes classroom instruction and hands-on learning. Download the brochure or read on for details. Animals in literature have always captivated readers. The evolution of animal-human relationships from the 19th century to the present offers an interesting field of study, including animals as symbols, concepts of ownership versus companionship, cooperation and conflict in nature, suffering and morality, and literalist anthropomorphism as opposed to otherness-in-connection. Poe’s “The Black Cat,” Tolstoy’s Strider: The Story of a Horse, London’s The Call of the Wild, Woolf’s Flush: A Biography and contemporary works Seabiscuit by Laura Hillenbrand, The Life of Pi by Yann Martel, and The Dogs of Babel by Carolyn Parkhurst are the selected texts for discussion and written analysis. A philosophical investigation of our relationship to the natural environment, and how these considerations affect our moral obligations to other people, as well as future generations. We are partnering with The Humane Society of the United States’ Humane Society University to create a civically engaged original performance about human-dog connections and the abuse of dog fighting in particular. We will investigate critical performance ethnography in both theory and praxis. This is an engaged theatre laboratory in ensemble building techniques via in-class exercises to develop an original ensemble-created performance for the as yet un-named spring production of TL003: A Performance Constellation. Performance dates are in April 2013 in the Theatre Lab. In this course we will explore two kinds of environmentalism: the environmentalism of the Global North and the very different approach to environmentalism practiced in developing nations. When we think of radical environmentalists, Hardy Jones the dolphin advocate might come to mind, or maybe Butterfly Hill, who lived for two years in a redwood in order to prevent loggers from taking it down. This course on environmentalism will pay due at tention to heroes like this, but also to the very different kind of environmentalists from developing nations. For example, both Chico Mendes, who organized Amazonian rubber tappers to prevent deforestation, and Wangari Maathai, who initiated the Green Belt Movement among central African women, risked their lives for their people while trying to protect the environment. This course introduces students to many types of human-animal interaction including “pet adoption,” “animals and our health,” “animal training,” “animal abuse,” “animal consumption” and “wild animals and zoos.” Several guest speakers provide “question-and-answer” sessions about animal training, working with wild animals and animals in zoos, and shelter work. Students also complete two projects for which they must collect empirical data about how humans verbally interact with animals and views of vegetarianism. This course explores the ways in which non-human animals both enhance and diminish humans’ health. We will also explore how animals’ health is linked to humans’ health. “Health” is broadly conceptualized and includes physical, psychological, spiritual, and socio-relational experiences that promote general well-being. The use of animals for therapy, medicine, entertainment, food, socialization, beauty, and spiritual practice will be examined. Humans and Animals examines the complex and multiple relationship that people have with animals using the lens of anthropology. Throughout human history we have developed social, economic, and symbolic connections with animals. In addition to insights from cultural anthropology, archaeology, and biological anthropology, this course draws on research from multiple other disciplines to explore our unique interdependences with other animals. Why do “trained” wild animals turn on their human masters? Why do good pets go bad? What happens when humans give expression to “the beast within”? Our airwaves and movie houses in the U. S. have long been full of sensationalistic or simply trivial answers to problems like these. Meanwhile, generations of writers and theorists have been dealing with animal behavior, human/animal interactions, and questions of human/animal identity in ways that challenge our most fundamental assumptions about who we are, what-or who-“they” are, and how “we” ought to be treating “them.” In this class we will not just encounter some of the most famous beasts in modern literature, from Melville’s white whale to Faulkner’s Old Ben to James Dickey’s nightmarish backwoodsmen in Deliverance, but will frame our encounters with them by means of critical engagement with leading animal rights philosophers, biologists, ecocritics and ecofeminists, and other participants in the growing field of what might be called animal studies. Rather than advocating a particular political agenda, our goal will be to create an open and informed dialogue about the functions nonhuman animals and “beastliness” serve in American culture, and, more broadly, about the roles literature plays in helping humankind make sense of its place in a world full of other life forms.